Our second and final potluck presentation for the semester here at Comparative Literature was given by fifth year PhD candidate Jinhwa Lee, who presented an engaging draft of her dissertation chapter, entitled “Queer Crisis of WWI: Performative Supplement of the Literary.” Jinhwa took us through her readings of The Return of the Solder, a 1918 novella by Rebecca West, and the short fiction piece “Miss Ogilvy Finds Herself,” written by Radclyffe Hall in 1926 but published in 1934. 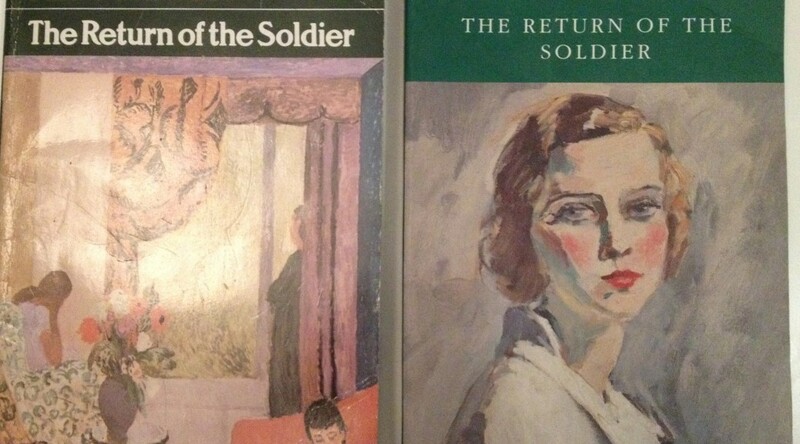 In her reading, we were able to discuss the shifting expectations of a national idea of maleness that is cyclically broken and mended, only to be broken again by the constant return to the front line. An initial framing for this sense of brokenness within the nation as masculine ideal was the idea of the “No Man’s Land” as borrowed from Gilbert and Gubar. 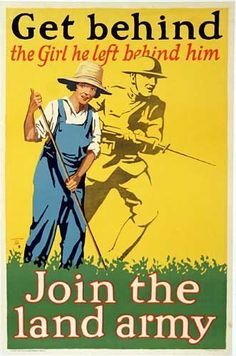 In fact, some of these slogans from the VAD (Voluntary Aid Detachment), the WAAC (Women’s Land Army), and the WLA (Women’s Land Army) recruitment posters figured central in our ensuing discussion that night. 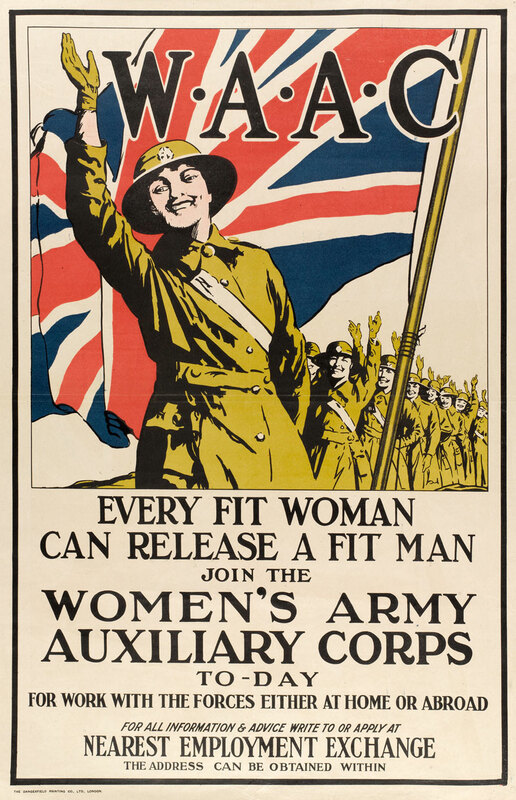 For instance, some of us offered interpretations of one poster’s slogan, “Every fit woman can release a fit man.” While some read this “release” as women’s enabling men to join the battlefield by taking their place in civil society, others noted that the word implies a kind of giving “birth,” which would then serve as a re-integration of women’s traditional role as “mother” within this new national context even while the woman herself is physically represented as a kind of substitution for traditional maleness. Ultimately, Jinhwa’s elegant combination of sharp, critical analysis, evocative music, and memorable images served as enlivening reinforcements to an already promising project. 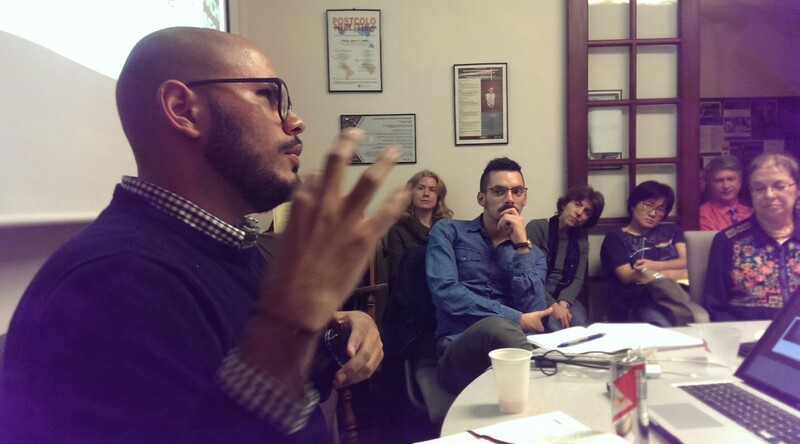 One of our most cherished traditions at Rutgers Comp Lit is the graduate student colloquium. 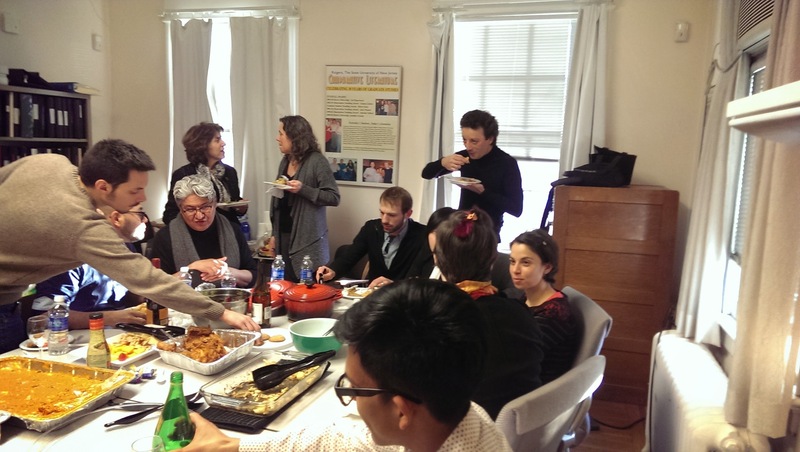 Held twice a semester, the evening consists of a potluck dinner to which both faculty and graduate students make culinary contributions, followed by a scholarly presentation by an advanced graduate student. Whether it consists of an excerpt from an upcoming conference paper or a dissertation chapter-in-progress, the colloquium is a much anticipated rite of passage and an opportunity to socialize with friends and faculty outside of the classroom. Given the wide range of topics studied by folks in Comp Lit, the bi-semester colloquia call us “home” from our various commitments, courses, and projects across the campus for a night that highlights the collegiality of our program. 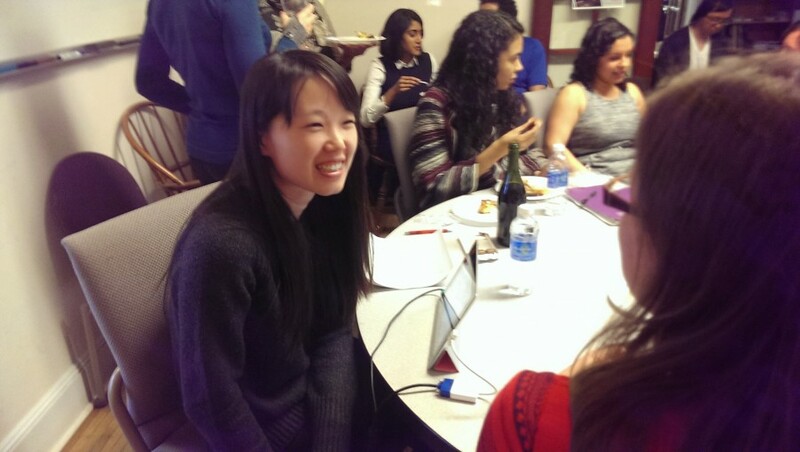 First up this semester (Spring 2015) was fourth year Ph.D. candidate Lina Qu, whose presentation “Hungry Women and Women’s Narratives of Hunger” could not have been a more fitting subject after enjoying a delicious meal together. The multicultural fare included homemade arroz con pollo, falafel, mattar paneer, roasted cauliflower, and a beautiful fruit and custard tart, among other sweet and savory additions. The intellectual main course was Lina’s presentation in which she discussed the metaphorics of hunger in contemporary Chinese literature. Drawing on the tendency to universalize images of third world starvation in politically expedient yet problematic ways, Lina’s work offered a “historicized and gendered reading of Chinese women’s storytellings about their experiences with starvation,” thereby shifting our attention toward women’s understanding of their own subjectivity. By honing in on the representation of women’s hunger – be it for food (as in Lina’s presentation) or intimacy and self-care (as in her project at large) – Lina’s work sought to illuminate how gendered and classed conceptions of who is allowed to take on the social roles of providers or consumers ultimately serve or subvert Chinese nationalist and collectivist discourses. Lina’s attention to the ways embodied experiences of hunger manifest in literature and film drew many interesting questions from her audience, including how we might define the boundary between need and desire, as well as the perennial question for comparative literature scholars: why literature? And why this literature? Both concerns usefully linked back to Lina’s discussion of the eroticization of female hunger, for as she reminded us, not only is the open mouth a conduit to the stomach; it also serves as a portal for stories about oneself. That women’s stories about themselves remain a threatening prospect, across cultures, was something we could all sink our teeth into.